For the first time in many years, Microsoft this morning launched a head-on assault in a commercial software market where it is not the established leader. With Adobe's Flash becoming entrenched as the Web's principal delivery platform for scalable vector graphics, freeform animations, and flexible layouts, Microsoft is betting on there being room for two to play in that market. Today at the NAB convention in Las Vegas, Microsoft will be unveiling Silverlight, the platform and marketing campaign whose aim is to deploy an Internet graphics delivery system not just on Windows, but on Macs and Linux as well. There's some novelty to Microsoft's strategy, at least for this company. Generally it builds up a technology around a code-name, such as "Avalon," that becomes a platform that sounds like a pharmaceutical ingredient, like "WPF" (Windows Presentation Foundation). Today, it's "WPF/E," with the "E" standing for "Everywhere," that's getting the name change to the nicer-sounding name, the easier-to-swallow marketing premise, and the fuzzier logo - literally a fuzzy blue sphere. But it almost wasn't Silverlight, at least not for a few minutes after the manager of this project, Microsoft's Brian Goldfarb, unveiled it some days ago during an analysts' briefing. As Goldfarb told BetaNews, he started the briefing by "giving a lot of context around the energy and investment and the importance of doing the brand well. And I key all of that up and then I show this slide that's the standard Microsoft text, that says, 'Microsoft X-PLAT Rich Player Plug-in for Browsers.' And you just watch the blood drain out of their faces and their eyes lock onto the screen, because they're too embarrassed and too horrified to look anybody in the eye, and they don't really want to say what they're feeling, which is, 'Oh my god, you idiots, what are you thinking?' I let that sit and dangle for a few seconds, and then I go, 'No, just kidding, the brand's Microsoft Silverlight,' and we have gotten resoundingly positive feedback about everything regarding the brand." If Microsoft went up against Flash with "WPF/E" or "X-PLAT," the immediate result with consumers might have been "whoops" or "splat." With Silverlight, Microsoft is attempting to evoke a positive image in customers' and users' minds, but an image that is intentionally not too explicit about its own purpose. "The identity system behind it, we call it the 'nebula,"' Goldfarb said, "this spherical object with misty smoke and blue coloring, and you'll get to see all of it coming out of NAB. I'm very proud of what we've done." Goldfarb believes this could optimize the authoring experience for Web video for many developers who have already captured 720p high-resolution, and don't want to have to transcode it for the Web, perhaps losing clarity in the process. In stark contrast with Flash, Silverlight's Web productions will be constructed around XAML, Microsoft's XML-based user interface composition language. The key to this language is that Microsoft's tools, such as its Expression series (its graphical Web development counterpart to Visual Studio, currently in public beta) produce XAML code without the author having to write it explicitly. 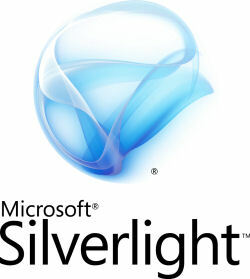 Which leads to the reason why Microsoft is unveiling Silverlight at a convention of broadcasters. "We're introducing a new feature to the Expression media product called Expression Media Encoder," Goldfarb told BetaNews. "for designers and compression engineers to take any existing video assets and encode them, compress them, change them, integrate them together into the VC-1 standard. Inside the encoding tool, I can take my content [and] transcode that into the format that I need - whether it's HD, Web quality, device quality - and automatically wrap that in a set of ten to twelve pre-built Silverlight video players. "So without having to do any extra work, I can actually create the baseline experience for getting that online," he continued. "And all of that's built using XAML, so I can go and use Expression Blend to customize those even farther than the default, and we have a seamless experience in the Visual Studio which I can use to customize how they interact." Also at NAB, Microsoft will announce that a version of Windows Server "Longhorn" later this year will include Streaming Media Services for deploying VC-1 video for Silverlight clients. "Secondly, we're going to be announcing the IIS 7 Media Add-on Pack," stated Goldfarb, "which is a set of technologies focused on making it easy with IIS 7 to distribute and manage these types of infrastructure investments. That goes to the scalability, the manageability, the reliability of the distribution network." While Goldfarb invoked the word "cross-platform" several times during our interview, it's clear that the cross-platform nature of Silverlight will be relegated to the "experience" end of the system. The development tools for Silverlight, for now, are all Microsoft; while he stated the company is officially open to the idea of someone else making Linux or Mac OS variations on Silverlight tools, that statement seemed less than an open invitation. The server side of the platform appears to prefer Microsoft, but for now, it won't be limited to that single manufacturer, Goldfarb promised. "I can definitely deploy Silverlight applications from Windows Server-based infrastructure, but if I have investments in PHP, Apache, and Linux, that's fine. I can definitely incorporate my Silverlight-based applications directly inside of those environments."